One of the most interesting advantages enjoyed by European citizens is the freedom of movement. No boundaries. You can move freely around the European Union and settle anywhere within its territory. However, dealing with the cost of travel, accommodation, insufficient pocket money, language, family obligations and other responsibilities might be an obstacle for you to start your journey in another country. Maybe, you do not even know exactly what to do. All these obstacles should not put you off from trying. There is a huge selection of opportunities and Eurodesk can help you find the one that fits you best. Always for free. In a time of fake news and online scams, Eurodesk provides you a reliable collection of international opportunities that are approved by our trained youth workers. On our Opportunity Finder, browse international opportunities about studying, volunteering, internships, participating and grants. Opportunities have a short description and links to further information and resources you need to start your journey. Take your chance! There is nothing quite like sitting down in a cozy place, chatting and getting to know each other! Eurodesk has over 1000 multiplier offices in 35 countries where you are always welcome if you need some help or if you have questions regarding your future adventures abroad. Not in a mood to meet up? You can always send your questions via email, too. Locate the multiplier office close to you via our interactive map or start the conversation on Facebook Messenger instantly. We are here to help! 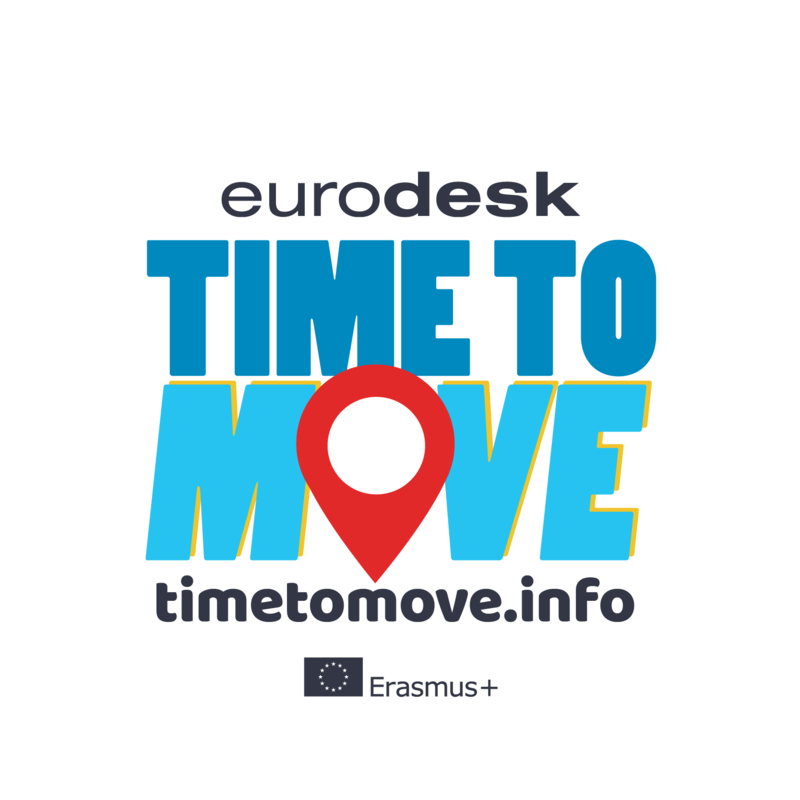 Eurodesk organises the Time to Move campaign yearly, to let you know about opportunities abroad. During the month of October, Eurodesk offers over 1000 events all around Europe, including information events as well as fun activities such as concerts, mountain-hiking or slam poetry evenings. All activities are run by Eurodesk information experts, always ready to have a discussion and help you find the most suitable international project. Have you already located the closest multiplier office? How was your first Eurodesk experience? If you want to get updated on the latest international opportunities you can always come back for another fun meet-up! 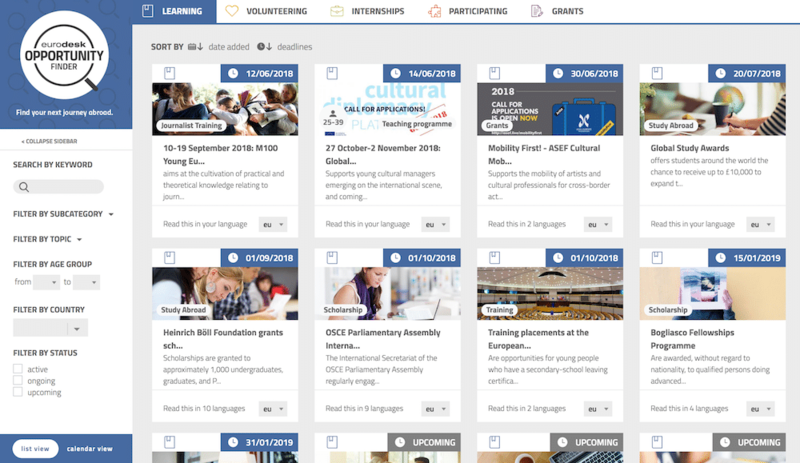 For #youthinfo #opportunities #events #scholarships #competitions #Erasmus+ and much more subscribe to our monthly newsletter and follow Eurodesk on Facebook and Twitter. We are always happy to hear from you! There are a lot of European Union programmes and initiatives aimed at educating and empowering youth. 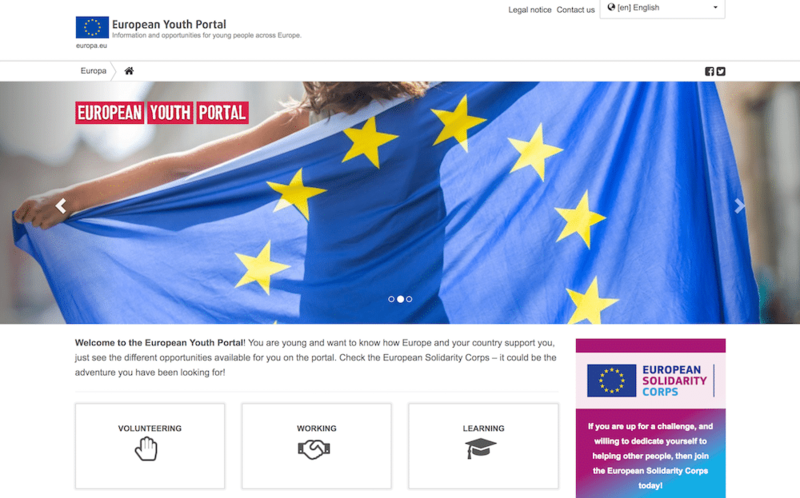 If you would like to get updated on the latest news related to your life as a European citizen or you would like to participate in the latest debates regarding the future of the European Union, there is no better place to start than on the European Youth Portal.